//	Google Nexus 6P and Nexus 5X were Poorly Designed – Who’s to Blame? 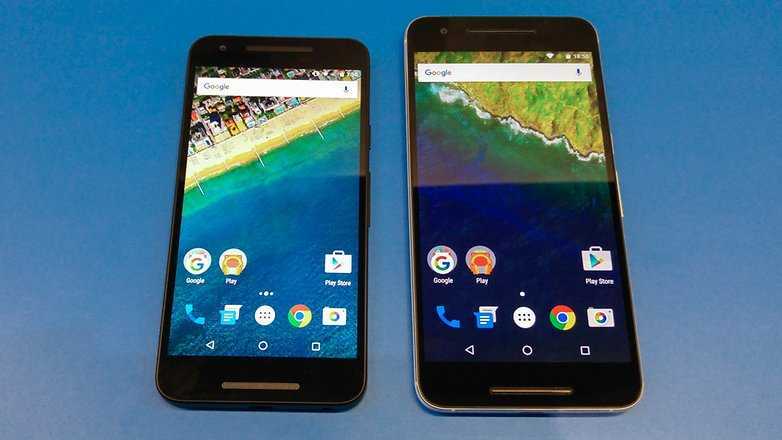 Google Nexus 6P and Nexus 5X were Poorly Designed – Who’s to Blame? It’s hard to argue against the fact that the Google Nexus 6P and Nexus 5X are – to date – two of the best phones to have ever graced the Nexus lineup. Where the Nexus 6P gave users the best hardware specs and features at a midrange budget, the Nexus 5X came in with slightly less powerful features aimed at those who enjoy the purest form of Android OS. However, about a year down the line, the two phones started showing signs of early retirement with hardware and software related issues coming in from all angles. While software issues were less painful since Google always came in with an update to fix the problem in question, the story was quite opposite when it came to hardware-related issues. One major issue that came in and has been frustrating users of the Google Nexus 6P and Nexus 5X is bootlooping. At the beginning, it was claimed that this bootloop issue had everything to do with software, more so the new Android 7.0 Nougat, and that it was only affecting the LG-made Google Nexus 5X. However, Google quickly rubbished the claims, implying that the issue was hardware-related. But when the Nexus 6P joined the party, Google surprisingly assured affected owners that they’ll receive a software update with a fix, adding another twist to what had yet to be uncovered. At some point, many started demanding that Google starts issuing replacement units to those affected by the bootlooping issue on Nexus 6P and Nexus 5X, something that LG is reportedly handling perfectly well. However, up to now, the tech giant, alongside the makers of the Nexus 6P, Huawei, have never given out a statement regarding the possibility of a replacement program. When things started getting worse and some users started reporting about phones that were simply dead after months or so of usage, a lawsuit was filed against the responsible parties, that is, Google, Huawei and LG. The law firm charged with taking on the complaints, Chimicles & Tikellis LLP, has, however, dropped charges against the Nexus 5X owing to the fact that LG is handling the replacement cases much better than Huawei and Google. In a newly amended complaint, the law firm is doubling down on the class action pursuit against the Google Nexus 6P while dropping some of the charges on the Nexus 5X. The charges being dropped are the general warranty support and refunds associated with bootlooping phones, an indicator that Huawei – and Google – are still not helping on this matter at all. Where Google claims that the bootloop issue on the Nexus 6P is hardware-related, Huawei says that it has everything to do with software. In short, we are back to where all this begun. But who’s to blame, really? Your thoughts via the comments section below would be appreciated. Feel free to join in the discussion.